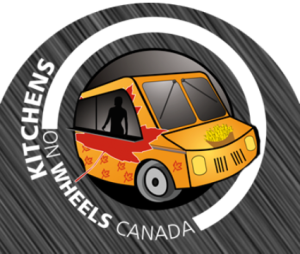 Description: Kitchens on Wheels, Canada, has been in business since 2003 and already sold over 350 trailers and trucks. Located near the southern border of Ontario, our business has recently started receiving orders across to the US as well as our own country. KoW offers both Custom builds and Used Units, which though affordable may need to cost a bit to bring up to code. We follow all regulations in regards to your City for each of the builds we partake in, KoW being ESA certified and TSSA inspected. Products revolve mainly around custom built, larger-sized Trailers, most of our Food Trucks being based off refurbished Purolator models. Graphics are done by our Designer, who’s contact info we will forward you, who will work with you on the exterior logo and other details, whether it’s applying franchise logos or painting by hand. Kitchens on Wheels Canada or Canada kitchens on wheels, in Alexandria, Ontario. Terry & Manon Sauve, have cheated so many customers it’s overwhelming. Yet they continue to take money on orders that they have no intention of completing. A ponzi scheme with trucks! Be careful. I have been approached by about 6 Parties who have paid as much as $80,000.00 and received little or nothing. We also have a very bad experience with Kitchen on Wheels (Ontario, Canada)!! For an international cooperation project in Rwanda, the Rwanda Tourism University College (RTUC) in Kigali ordered a catering trailer. Our organisation paid € 85,000.00 in April 2014 to Kitchen on Wheels but the trailer never arrived. For over a year we try to settle the non-delivery with Mr Terry Sauve without any result so far. Who can help us? Is it possible to put us in contact with other ‘victims’ of Mr Sauve?